Nice meetings, new acquaintances, wine tasting, sommelier advice. Deep, bold and modern poems about us. On August 3, a literary meeting near a poplar took place on the terrace of the Bortoli mini-hotel. 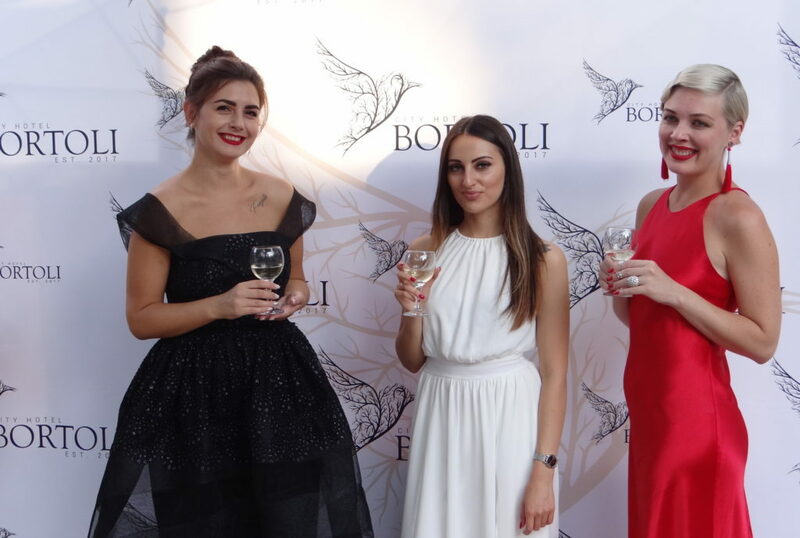 More than 30 guests came to enjoy the works of young Odessa poetess accompanied by live music, taste the wine and just spend the evening in good company. They recited poems charming and talented Ksenia Vere, Julia Lenskaya and Julia Molchanova. The girls happily shared their creativity, as well as memories and reflections on life, told what was the inspiration for writing poetry. In between reading guests were able to chat with writers, take a couple of pictures as a souvenir, as well as exchange compliments and enthusiastic reviews about the wonderful evening. At the end of the meeting, wonderful gifts from sponsors, as well as a collection of poems by Ksenia Vera, were raffled. And for everyone who wants to try himself in the reading of poetry and prose was held “Free microphone”. We plan to make these meetings a tradition. Therefore, we are waiting for you next time on the terrace of Bortoli! (Русский) Нам — 1 год!